Artisan Bread Organic (ABO) is run by Ingrid Eissfeldt. 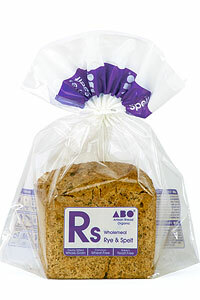 Based in Whitstable, Kent, ABO produce a wide range of specialists breads all containing Seagreens as a salt replacement. It is also used in their cakes. Customers can also buy jars of Seagreens in the bakery. What types of bread does Artisan Bread Organic produce? As the name suggests, the breads made in the bakery are artisan and therefore not your standard white or wholemeal loaf. To the foodies amongst us, this is a very exciting bakery which creates innovative products at very reasonable prices. Take for example, the Organic Pea Bread which is naturally gluten free, wheat free and baker’s yeast free bread. It has a sweet flavour from the peas which is infused with alpine herbs and reminds you of a good curry! The peas within the bread make it higher in protein than the standard white sliced loaf you might buy at a supermarket. The breads don’t have a long list of ingredients and unpronounceable chemicals added. ABO use Seagreens Culinary Ingredient in all their bread. You can also buy breads made from quinoa, rye, spelt, soya and linseed. Not only can you buy loaves of bread, ABO also sell delicious packs of Glutini® which are ideal for beans on toast and make it a whole new experience. There is a range of pizza bases allowing you to create your own healthy, homemade pizzas. These are great for people with food allergies and intolerances as you can use ingredients which you know don’t affect you. If you fancy having a go at baking some of the breads at home, ABO stocks a range of different flours and sell the Seagreens Culinary Ingredient which can be used as a salt replacement in the bread. And for the sweet toothed among us? Artisan Bread Organic also does a fantastic range of cakes. Again, Seagreens is added to all the cakes which boosts their nutritional profile and adds a depth of flavour not normally associated with sweet products. They have a range of Glutini®, some of which are sweetened using products such as date and others are less sweet as Cacao is used. You can also buy cake mixes, these do not contain Seagreens. There is also a sugar free cake available too for those who want to avoid sugar.